Traffic is obviously the life line of any blog. Bloggers works day & night and put lot of efforts in producing quality content. But though all the bloggers won't get the traffic they're expecting and that's why they won't be able to improve their search engine ranking. This is because they are not working in improving their SEO Search Engine Optimization and unable to create quality backlinks. Here you need to concentrate only on building Dofollow backlinks as they pass as the link juice to Google. NoFollow backlinks doesn't count by Google but they are equally important if they are coming from high page rank sites. So if you wanted to come in top search results of Google then you really need to build backlinks that are DoFollow specially. I recommend you to read below mentioned 2 articles to create high quality PR9 backlinks. For now I'll keep this article upto the point and we gonna see how to create NoFollow and DoFollow backlinks from Facebook. I guess I do not need to introduce the Facebook. But I'll surely tell you that its alexa ranking is 2 and page rank is 9. So getting NoFollow and DoFollow backlinks from facebook will definitely help you in increasing traffic. Step 1 :- Sign Up with Facebook. Create free account with Facebook and Log in into it. Step 2 :- Create facebook page. Make you brand visible on facebook. Step 3 :- Fill details in about section. Now, start filling the proper details so people can reach to your blog. In about section you will get one option called "website". Simply add your blog's URL in it. Step 4 :- Add profile and timeline image and most important description. Make sure everything looks so attractive so people like to visit your page. 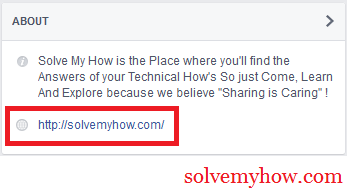 Example :- SolveMyHow Official Facebook Page. Congrats this will give you NoFollow backlink. Now go to your main profile. Step 5 :- Go to you profile >> about. Make sure in "company" it fetches your official blog page. So, in this way you will also be able to increase your blog's traffic too. 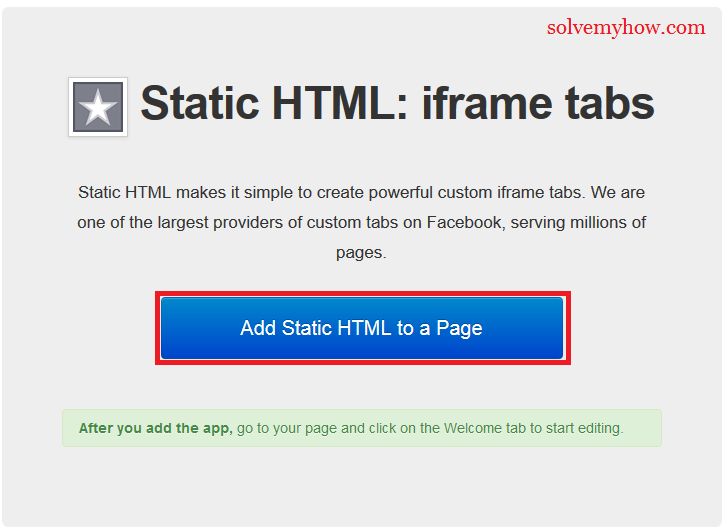 Step 1 :- Install Static HTML app. 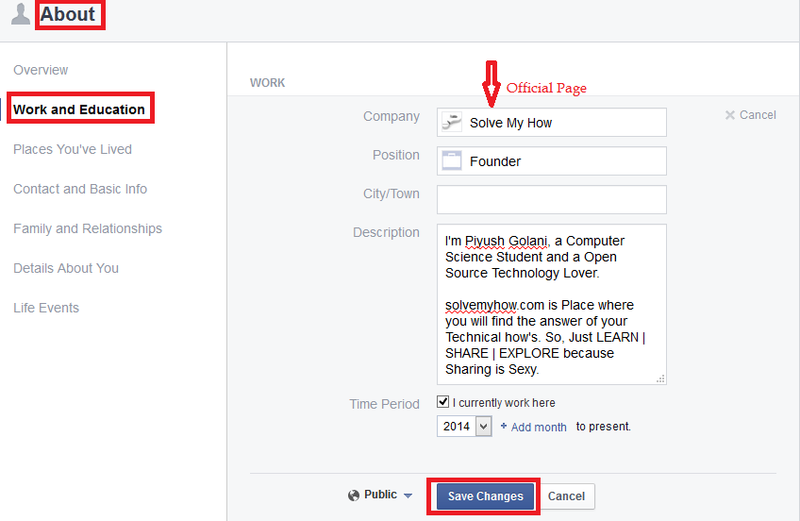 Step 2 :- Select particular Facebook page. 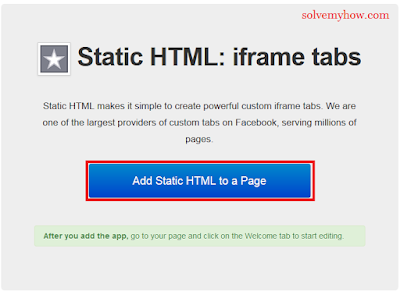 If you have more than one Facebook page then select any one on which you wanted to add HTML page. 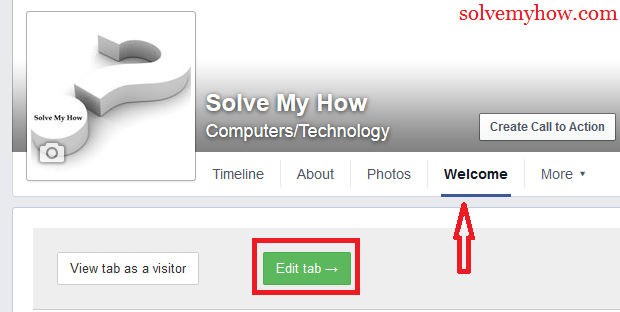 Step 3 :- Click on Edit tab under welcome section. Now you will be redirected to your blog's Facebook page. Simply click on "Edit tab". Step 4 :- Delete/Remove all the data written in index.html file. Step 5 :- Add the code written below in "index.html" file. P.S remove blog name and URL with your blog's name and URL and add abit description too. So, now when anybody clicks on that particular blog's link, you will get the PR9 DoFollow backlink from Facebook. That's it you just created the free NoFollow and DoFollow backlinks from Facebook. This will definitely improves your website traffic and position in Google search results. Hope you found this article helpful and worth reading. Do share this article with your social media friends too. Do comment if you know any other trick to create backlinks from Facebook. In the mean while you can Subscribe for SolveMyHow newsletter to get blogging, SEO and hacking tips right into your INBOX !